Budgets are an important part of county government. They need to be calculated, kept track of and enforced. If they aren’t, things can go awry quickly. Many departments have just one budget, which can be difficult enough to maintain. But imagine tracking the budget of for the Office of Senior Services (OSS), which oversees many different programs such as Adult Day Services and Dining Senior Style. OSS is a division of Macomb County Community Services, which provides many social programs to residents, including senior citizens. This is exactly what Sandra Maniaci, accountant for OSS, does. Except because she works for OSS, it’s more like overseeing eight different budgets as she takes into account the variety of programs OSS oversees when calculating the department’s finances. Making the job more difficult is that OSS is a department that relies heavily on money from different sectors, such as grant funds, to ensure the success of its programs. Maniaci must not only calculate typical budget process, but also account for funds either coming in, or being taken away from, other sources. When she’s not doing budget work, Maniaci is often helping out wherever she can, whether it’s specifically related to the OSS office or not. She recently oversaw a big project where OSS completely redid an auditorium next to its office that was severely underutilized. “It wasn’t conducive to trainings for meeting space,” she said, adding that the space was bleak and lacked the technology and comfortable amenities that would encourage use of the area. Maniaci decided to make the plan her personal pet project and has since watched the auditorium transform to a space often used by both employees and outside groups. During the year-long project, the room was repainted and comfortable chairs and better tables, new carpeting, projectors, a podium, and Wi-Fi were installed. The auditorium is also now adorned with the county logo and a Make Macomb Your Home sign – so it’s ready to be used for any official county business. “We really want to showcase it to other parts of the county,” said Maniaci of the auditorium. Maniaci said she utilized the help of many county departments to get the job done: Facilities and Operations, Information Technology and Planning. “There were so many people in the county that were helpful,” she said appreciatively. Katherine Benford, division director for OSS was thrilled with Maniaci’s work on the auditorium. She said she wasn’t surprised it turned out so well. "Sandy's contributions to Macomb Community Action extend well beyond the fiscal responsibilities she holds for the agency. She is an extraordinarily well organized and resourceful project manager, which is evident in the transformation of the Macomb Community Action training center (previously known as the 'senior auditorium'),” said Benford. In her free time, Maniaci, a lifelong Macomb County resident, enjoys travel, bike rides, Tiger’s games, watching movies and listening to music. Maniaci has been working for the county for 11 years. She started in Central Receiving, then moved to OSS’s Head Start program as an administrative aid before she was promoted in 2013.  “Macomb Community Action is a really wonderful department. We have a lot of dedicated professionals here that really want to help families and improve their quality of life,” she said.